Two new poem collections are about to be uploaded on the website of the project I run, called “Poems for…“. United Response is a UK registered charity which supports people who have disabilities. It aims to help them fulfill themselves in the community. It seeks to ensure they receive their basic human rights. Where in the World does Poetry Belong ? I run a project called “Poems for…” It offers poem-posters free of charge for public display. Many of the poems are bilingual, with over fifty different languages represented so far. 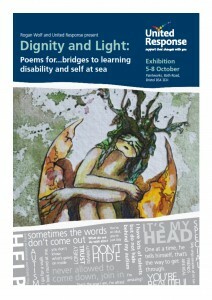 The poems go to schools and libraries and healthcare waiting rooms across the UK and in fact all over the world. Here below is… Continue reading Where in the World does Poetry Belong ?